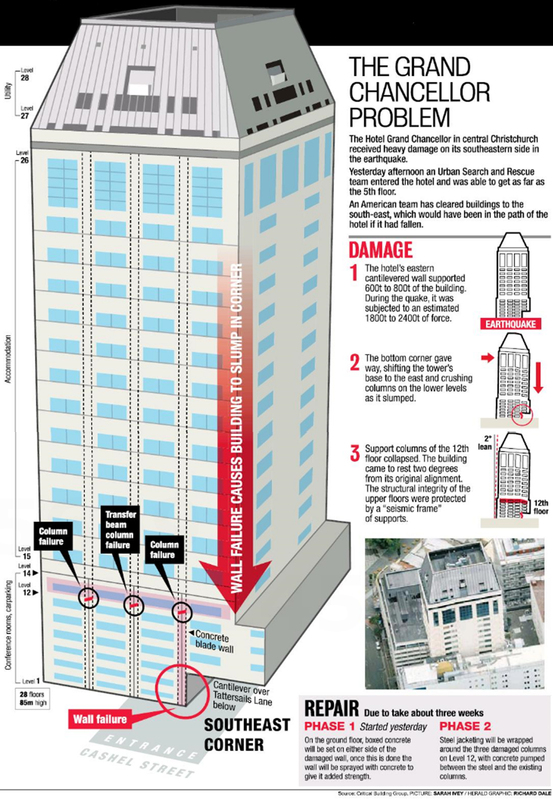 Today’s New Zealand Herald carries an infographic explaining what the problem with Christchurch’s Hotel Grand Chancellor building is. The building is one of Christchurch’s tallest, but rescue efforts have been hampered by fears that it is on the verge of collapse. As yet, it is unknown whether the building will be salvaged or demolished. Rescuers have thus far made it to the fifth floor, but have been unable to get any further. A related article explains the situation.